Brit troops used old Polish tanks in what is believed to be a practise drill recreating a Russian invasion of Eastern Europe. 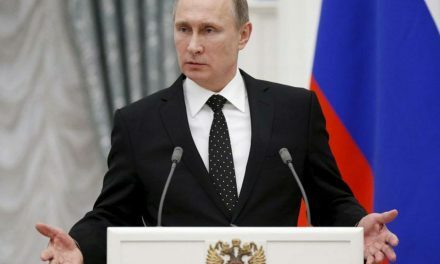 But strongman president Vladimir Putin and his cronies were not cowed by the show of strength. The Russian-built tanks were snapped rolling through the British countryside during the Wiltshire drills yesterday. The incredibly realistic British Army exercise executed the chilling scenario of President Vladimir Putin’s forces invading Estonia, according to Army sources. 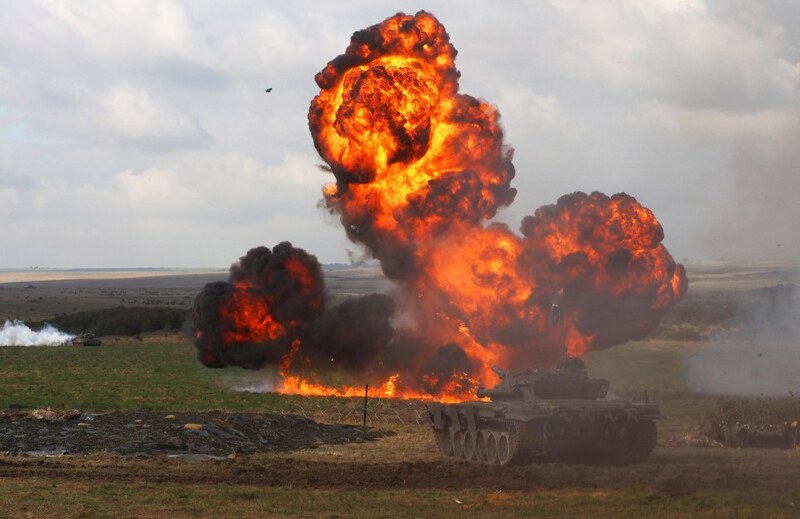 The drill, which was based on Russia’s 2014 invasion of eastern Ukraine, is one of the most realistic war games ever staged and the pictures show incredibly life-like tank battles on the Salisbury Plain. Some of the 800 troops due to be deployed early next year to support Nato forces in the Baltic states took part in mock battle. The display was designed so that every detail was as close as possible to what would actually be experienced by British soldiers if Putin moves into Estonia. The belligerent ‘Russian’ forces in the simulation wore distinctive blue uniforms and were equipped with AK-47 semi-automatic rifles, which Putin’s troops carry. T-72 tanks, a model recently upgraded by the Kremlin at £20 million per vehicle, were launched for the ‘Russian’ assault. The Polish-built war machines rolled across the grassy plains alongside three other Soviet-design tanks – supplied by a private collector and the tank museum. Brit forces unleashed Apache helicopter gunships in response, firing missiles at the invaders as Warrior armoured fighting vehicles providing supporting burst fire. UK Challenger tanks were also deployed to patrol the battlefield while RAF Tornados performed mock bombing runs. Some of the troops are expected to be sent to Estonia, according to Ministry of Defence. 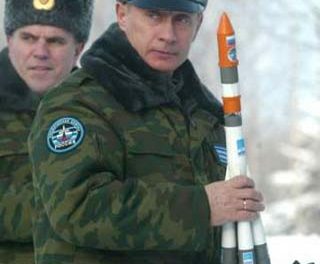 They will be within range of thousands of Russian troops and even nuclear capable missiles at Kaliningrad on the Baltic Sea. Gurkhas and civilians found using a recruitment agency were used in the demonstration to play the ‘enemies’ because of Army cuts. The UK troops will be part of the biggest Nato deployment in the Baltic region since the cold war. It comes after Russian military manoeuvres in areas bordering Estonia, Latvia and Lithuania. After President Elect Donald Trump questioned the Nato alliance strategy, fears have emerged suggesting Putin wants to test the West. The MoD’s simulation took place in front of an audience of 500 VIPs. The British Army called in ‘Hollywood’ special effects company Event Horizon to make the arms demonstration look even more realistic. 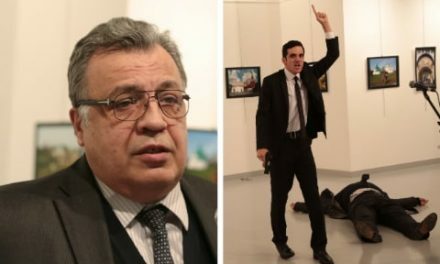 The ‘officials’ at the Russian Embassy should be cautious, as diplomatic immunity does not not stretch to those organisations that operate lawfully, but outside of the normal conventions. Russia of all countries should know about this and be wary of getting some of their own medicine.